Conceived in 1966; executed at a later date; this work is numbered six from an edition of six. 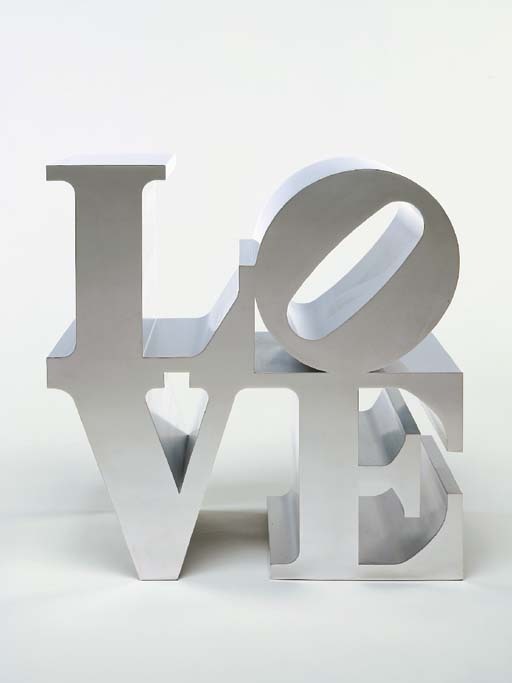 LOVE is one of the strongest and most memorable motifs in Robert Indiana's oeuvre. Developed between 1964-1966, the letters of the word "LOVE" is arranged in a square pattern that became a Pop icon of formal objectivity and neutrality as well as a sign of the 1960s revolution of freedom and love. In the present work, LOVE has been transformed into a gleaming cube of crystalline emotion. On its cool reflective surface, the viewer can view him or herself in a Narcissus-like gaze or see others in a collective light.